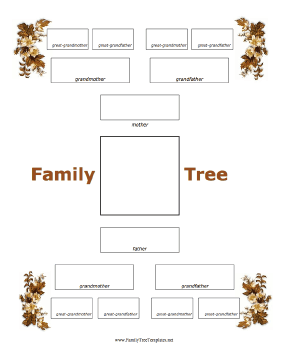 This four-generation family tree template is framed by autumn leaves. It is oriented vertically and has labeled boxes to write or type in information up to the great-grandparents. There is room for a photo or name in the center of the design.